TEMPE, Ariz.--(BUSINESS WIRE)--LifeLock, Inc. (NYSE: LOCK), a leading provider of proactive identity theft protection services, announced today several executive appointments to add depth, focus the company’s market opportunities and help drive the firm’s overall growth strategy. Scott Carter, CEO of the LifeLock’s ID Analytics subsidiary, will take on the additional role of Executive Vice President of Enterprise for LifeLock. In this role, he will be responsible for the full range of services the company provides to enterprises to reduce fraud and to enable enterprise growth. Carter will report to Hilary Schneider, LifeLock’s President and Chief Executive Officer. Finn Faldi joins as Senior Vice President and Partner Revenue Officer. 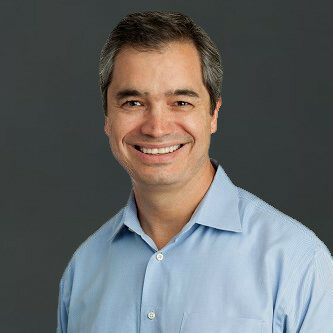 Faldi brings proven leadership in partnerships and operations from Yahoo, Oracle and AppThis. He will focus on growth in the Co-Marketing business, with an emphasis on the largest opportunities. Terry Reams joins as General Manager of LifeLock’s Employee Benefits team. Reams brings significant experience in the benefits industry, having served as Executive Vice President of Employee Benefits at HUB International, a top ten voluntary benefits broker, and as Senior Vice President and Employee Benefits Executive at Bank of America. Both Faldi and Reams will report to Mike Dean, Chief Strategy Officer at LifeLock. Dean will continue to lead the company’s Co-Marketing, Partner and Employee Benefits channels, as more businesses and institutions seek to offer identity theft protection to their employees and members. According to Willis Towers Watson, by 2018 nearly 70% of employers will offer identity threat protection services. “These appointments position the company for continued growth. I’m confident that this team will help us drive profitable momentum by continuing ID Analytics’ leadership in identity authentication and by providing LifeLock members with more sophisticated alerting on new account openings,” said Hilary Schneider, LifeLock President and CEO. Schneider continued, “ID Analytics is a leader in consumer risk management for enterprises, serving four of the top five cell carriers, credit card issuers and retail card issuers, as well as a wide range of consumer lenders. ID Analytics gives LifeLock members unique visibility and is key to our high retention rate. Scott’s expanded role recognizes the strategic differentiation that ID Analytics delivers with its alerting to LifeLock members. “At the same time, Mike is developing a robust pipeline of co-marketing partners and expanding LifeLock’s leadership in the fast-growing employee benefits channel, particularly as we focus on attracting larger accounts. We are confident that these efforts will be accelerated with the addition of Finn and Terry, who bring great experience and talent to their new roles,” she said. Carter joined ID Analytics in September 2014 and became CEO of ID Analytics in August 2015. He brings more than 20 years of executive leadership experience in big data, software-as-a-service and decision technologies for the financial services industry and adjacent markets, including serving as Senior Vice President at Experian, where he was responsible for analytics and fraud solutions globally and led its North American go-to-market strategy. Dean was appointed Chief Strategy Officer in January 2016. For more than 11 years he served in numerous senior positions at Experian, including group president of its Consumer Direct division. Earlier in his career, Dean was Vice President of Business Development at PriceGrabber.com. Dean is currently an advisor to SoFi, a leading online lender. ID Analytics is a leader in consumer risk management with patented analytics, proven expertise, and real-time insight into consumer behavior. By combining proprietary data from the ID Network®—one of the nation’s largest networks of cross-industry consumer behavioral data—with advanced science, ID Analytics provides in-depth visibility into identity risk and creditworthiness. Every day, many of the largest U.S. companies and critical government agencies rely on ID Analytics to make risk-based decisions that enhance revenue, reduce fraud, drive cost savings, and protect consumers. ID Analytics is a wholly-owned subsidiary of LifeLock, Inc. Please visit us at www.idanalytics.com. LifeLock, Inc. (NYSE:LOCK) is a leading provider of proactive identity theft protection services for consumers and fraud and risk management solutions for enterprises. LifeLock’s threat detection, proactive identity alerts, and comprehensive remediation services help provide peace of mind for consumers amid the growing threat of identity theft. Leveraging unique data, science and patented technology from ID Analytics, Inc., a wholly-owned subsidiary, LifeLock offers identity theft protection that goes beyond credit monitoring. As part of its commitment to help fight identity theft, LifeLock works to train law enforcement and partners with a variety of nonprofit organizations to help consumers establish positive habits to combat this threat. ID Analytics, and ID Network are registered trademarks of ID Analytics, LLC. All other trademarks and registered trademarks are the property of their respective holders.